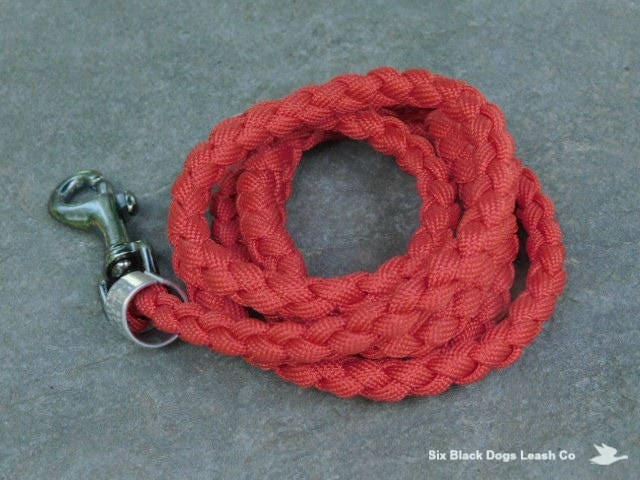 Red Snap Bolt Leash. 5 Foot in length. Paracord with solid brass gun metal color snap bolt. Made with 550 paracord using the 4 strand round brain design.